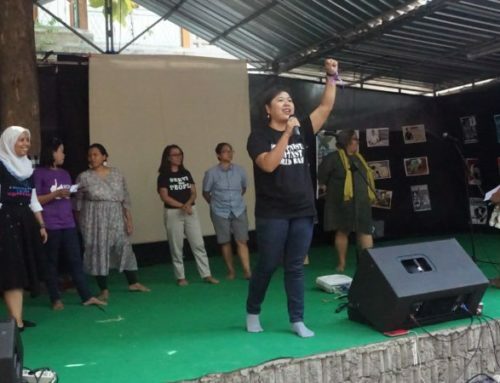 APWLD’s Breaking Out of Marginalisation Programme has selected new partners for our Feminist Participatory Action Research (FPAR) – supporting grassroots women’s organisations for Land Rights and Development Justice in 2018-2020. The programme aims to develop capacity, tools and resources that support rural, indigenous, migrant and urban poor women (RIMUP) to demand their rights for land, water, soils, biodiversity, and other natural resources. We believe that development is supposed to benefit poor, marginalised women of the global south as they are best able to identify both the problems and solutions. 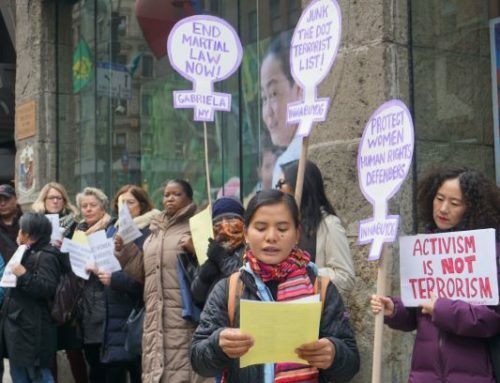 APWLD believes in Development Justice, which promotes peoples’ rights, dignity, well-being and solidarity while addressing the inequalities of wealth, power, and resources between countries, between rich and poor and between men and women. Our partners at the 1st BOOM-FPAR Regional Training in Chiang Mai, Thailand. Throughout the 18-month programme, the selected partners will document the impact of human rights violations on rural, indigenous, fisherfolk, and urban poor women at the local or country level caused by systemic barriers to women’s land rights. This includes land, water and resource grabbing by foreign, domestic investors and state for extractive industries and development projects, trade and investment agreement and patriarchal discriminatory land ownership laws and practices. Babadon Sangho works with vulnerable women to fight against eviction from their land due to the construction of infrastructural projects. The organisation is currently working with four unions in Rampal and Mongla Upazila (i.e. Mongla sea port areas) in Bagerhat district. The organisation’s mission build up the capacity of disadvantaged, vulnerable and socially excluded peoples especially women and girls, towards improving their livelihoods and addressing other social economic issues in a participatory approach. Brown Girl Woke’s mission is to aspire, educate and empower young females to lead initiatives to creative, productive and healthy communities. Girls participate in group activities focusing on teamwork, self-esteem, goal-setting , and decision-making, creating healthy relationships and living healthy lives. It provides opportunity for young women to openly discuss their opinions regarding themselves, the world and the future of both. Their primary objective is to empower young girls in primary schools in rural areas of Samoa by investing in their education, aspirations and their success. CVS is a non-profit and non-political organization established in 2005. Its mission is to mobilise youth to be agents of social change with voluntarism spirit for the society. By joining the programme, CVS aims to advance the participation of rural and indigenous women in the decision-making process of the Sambo hydropower project that is due to be constructed in Kratie Province, Cambodia. 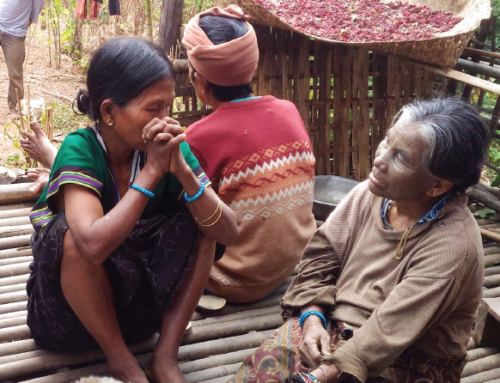 The CCERR is a member-based, women-led organisation that seeks to amplify the voices of the people to high level advocacy space about aid, development and peace efforts that have affected Chin people and marginalised people in Burma/Myanmar. 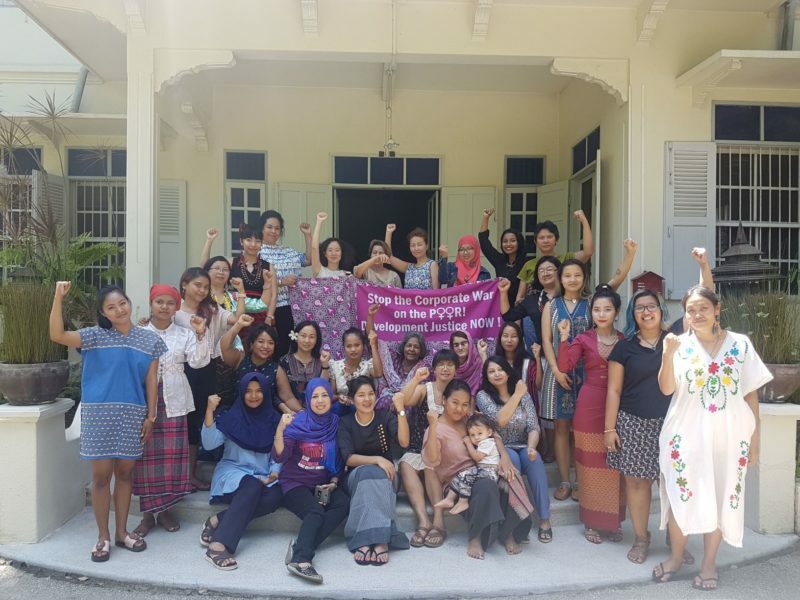 Through FPAR, the organisation seeks to mobilise marginalised, rural, indigenous women groups in Rakhine state to defend their rights against development projects. RUPARI is a non-profit organization focusing on research, campaign, and advocacy on women’s issues and gender justice. Rupari’s main mission is to protect marginalised women, urban poor women, peasant women and women plantation labourers. They are currently helping communities in Kota Garo village who are dealing with the expansion of timber plantation companies. It requires capacity building for members of the organisation to understand their own issues, mobilise and organise among them, and raise the public’s awareness of this issue. Founded in 1997, Roots for Equity works with the most vulnerable, marginalised communities that include small and landless farmers, women and religious minorities in the rural and urban sector. It aims to remain committed to being an active part of communities’ struggle to achieve political, social, environmental and economic justice. Through this programme, the organisation will look into the restricted access to farmland that women in Pakhtunkwa get because of the convention that men should be responsible for agricultural production. 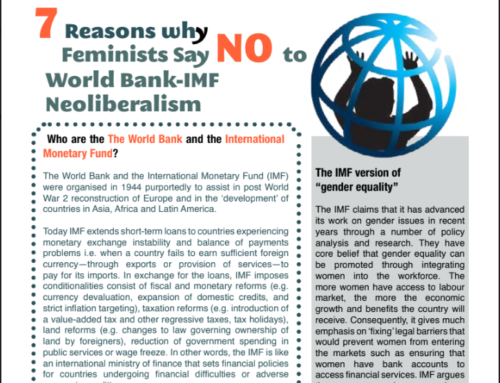 The NIWF was founded in 1998 with an aim to develop an equitable and equal level platform for indigenous women and other marginalised minorities in local, regional and national levels. NIWF works at empowering and strengthening the capacity of indigenous women and enhancing their decision-making skills at economic, cultural, social and political issues. The organisation aims to look into the potential impacts of Sunkoshi High Dam Project in eastern Nepal on women’s human rights. Sabokahan is a grassroots organisation of Lumad women that seeks to empower Lumad women through education, organising, capacity building and participation in advancing women and indigenous rights as key to overcoming barriers that preclude women from being at the front lines of the struggle for land rights, self-determination, social justice, genuine peace and development. 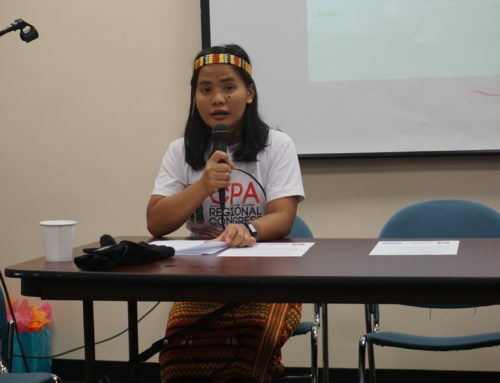 The organisation seeks to do a research on indigenous women’s preservation of the natural environment in the Pentaron Mt Range and the impact of the Pulangi Hydroelectric Dam on indigenous women in Mindanao. Sisterhood Network (SN) is a non-profit, non-sectarian, non-governmental organisation with the objective to empower women to reach their full potential through sustainable development, self-esteem and self-respect based in Nagaland, India. Through the programme, the organisation aims to better understand the land tenure system adopted by customary practices and how it can be revisited with women as key stakeholders. Sangsan Anakot Yawachon is a human rights organisation working each year with more than 300 young people from indigenous communities in disaster-prone villages like Sobmoei, Maehongson and at the border of Karen State in Burma/Myanmar where ongoing armed conflict have displaced many young people and left them stateless. The Tavoyan Women’s Union (TWU) represents women of the Tavoyan minority ethnic group from the Tanintharyi Division in Southern Burma/Myanmar. TWU works actively to promote women’s participation in the society, improve safety and education for women, achieve gender equality and protect women’s rights. “JIPAR” is women’s organisation working for the advancement of rural women’s (migrants and refugees) positions in the families, communities and societies by challenging poverty, patriarchy and fundamentalism. Their mission is to strengthen the role of women from vulnerable migrant refugee groups in realising their land rights, increasing their voice and building women’s capacity to collect and analyse data for advocacy and lobbying with key decision-makers at the local level.